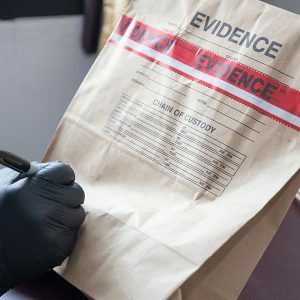 Law enforcement personnel and public safety professionals face a more strenuous work environment than ever before – but a disorganized evidence room or run-down locker room should be the last thing they have to worry about. 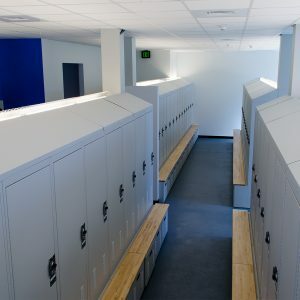 Better public safety storage lockers not only help boost productivity, but also help boost morale at a time when it’s more needed than ever. 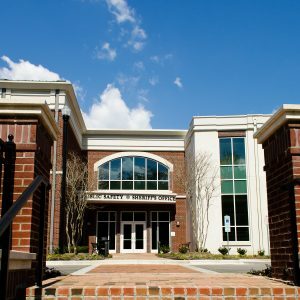 Our public safety storage solutions are designed for efficiency and security, so that you can focus your time and attention on what really matters. 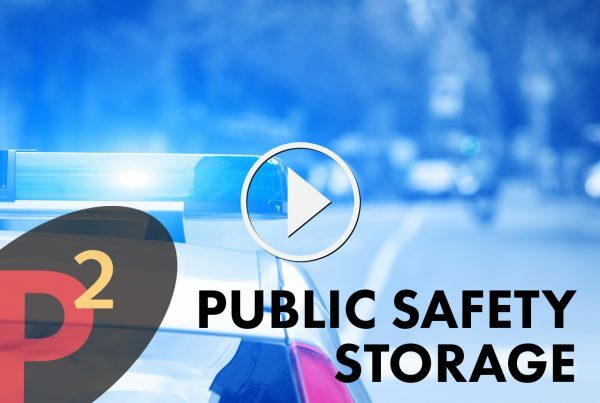 Be on the look-out for public safety storage options in this quick video. 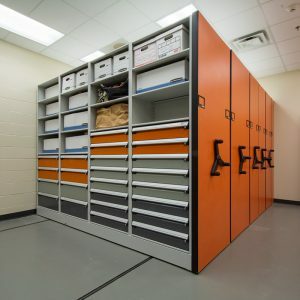 With applications in evidence rooms, lockers rooms, records rooms, storage rooms, labs, and more, stay productive and organized from collar to conviction. Secure chain of custody is central to ensuring the reputation of any agency. Avoid the trials of cumbersome deposit processes, lost keys and space shortages with our secure, keyless Evidence Lockers. We offer dozens of choices, including pass-thru and refrigerated options. Multiple shapes and sizes are available to outfit any space. 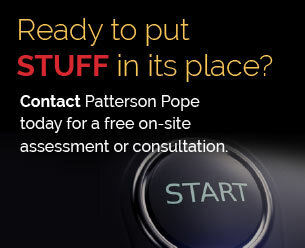 Let us help you rest assured that your evidence is safe and always secure. Evidence comes in all shapes and sizes, and many of those items have to be kept for decades. 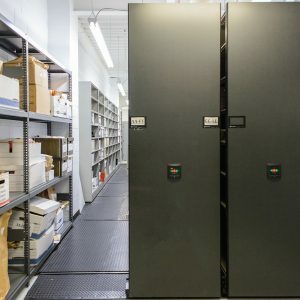 While evidence expands, the available space in your evidence room doesn’t always grow at the same rate. High-density mobile systems allow you to increase storage capacity within available square footage. We’ll do a full space assessment to help you optimize small spaces, organize your items and make them easily searchable. Public safety personnel spend the first and last few minutes of their shifts in the locker room. 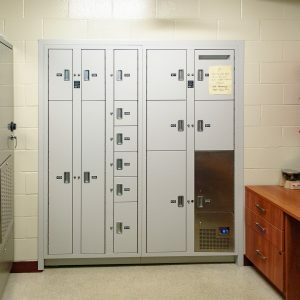 Personal Storage Lockers and Gear Lockers from Spacesaver allow you to create a convenient and comfortable space for employees and officers to store weapons, uniforms, equipment, and electronics. Available accessories are configurable so that each locker can be adjusted to suit individual needs. Between lack of space and the shuffling of property that happens due to court appearances and hearings, inmate property can easily become disorganized and overwhelming. High-density mobile shelving compacts your storage in the same spatial footprint, allowing for quick, easy access. Meanwhile, patient records require their own solution – whether lockable rotary and lateral file cabinets or high-density shelving. Strength, durability and flexibility are at the core of all our solutions. To meet the needs of officers, side arms, rifles, and gear need to be stored in a secure and accessible manner. Universal Weapons Rack (UWR), lockers and shelving are designed to accomplish that goal. Our UWR system protects weapons and optics and can be mounted on a high-density mobile storage system. Our modular lockers and shelving come in multiple heights, widths, and depths. These storage solutions can be customized for all types of gear bags, SWAT and scuba gear, body armor and riot shields.